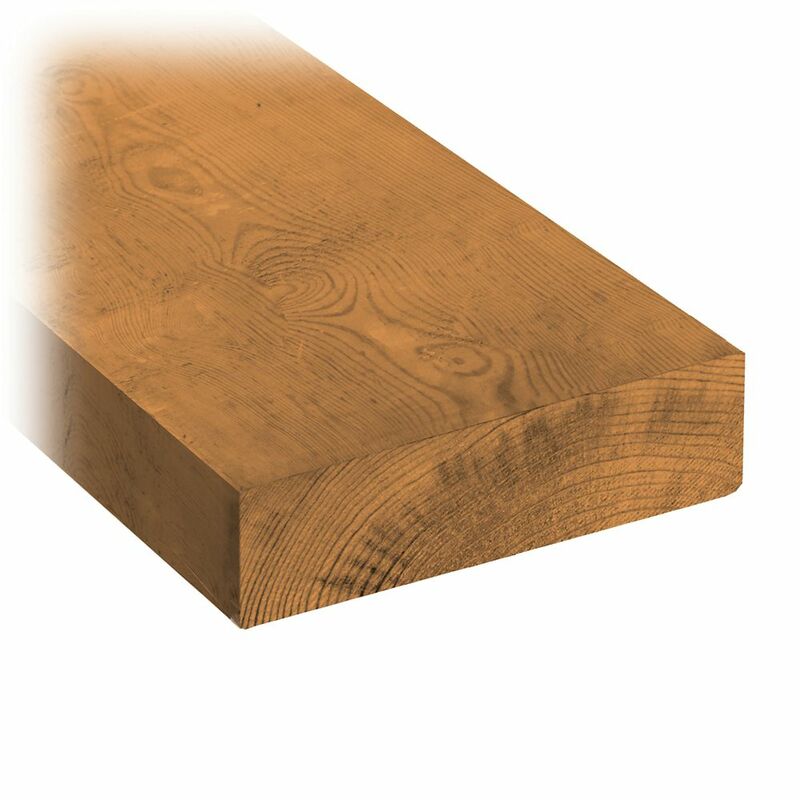 2 x 6 x 12' Treated Wood MicroPro Sienna Treated Wood uses the only wood preservative technology that is low VOC and certified as an Environmentally Preferable Product. Innovative colour pigment technology gives the treated wood a warm, finished look. 2 x 6 x 12' Treated Wood is rated 1.0 out of 5 by 1. Rated 1 out of 5 by Greg from Poor quality I picked up a bunch of these boards for my deck only to find that eight inches on both ends of every board we’re only 5 7/16 wide and the middles are 5 5/8. Looked terrible so I had to cut all the ends off to have decent looking joints. How do we know if this treated wood is for ground contact or above ground applications ? John, 2&quot;x 6&quot;x12' treated wood is for above ground applications. The tag on the end of the boards shows the application. How often do you have to stain this wood? I installed it last summer and it looks great. Just wondering if and how often you should stain for a Northern climate which has some pretty cold, snowy conditions in the Winter. Thanks! Totally recommend.